Na-na-na-na-na-na-na-na-bat crafts! The Dark Knight is an ever-popular comic book hero, and now your little ones can create their own hero from recycled crafts! 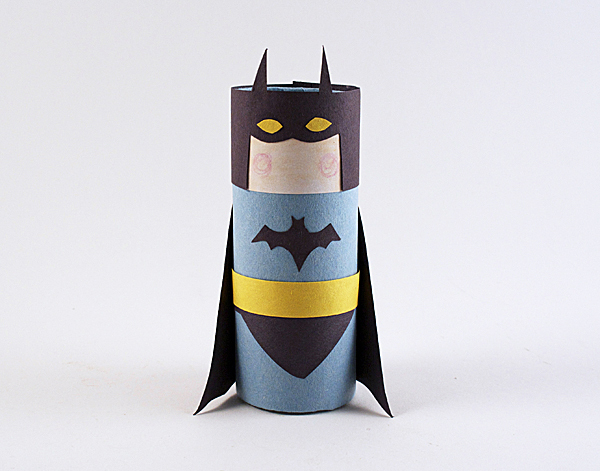 Cardboard Tube Batman is super easy to make, especially with the free printable template that's included. In a matter of minutes, kids can finish this toilet paper roll craft and be off on their own imaginary adventures through Gotham City. This homemade toy is much more affordable than anything at the toy shop, and just as fun. I agree where's the pattern? Hi everyone! The pattern is now available. We apologize for the inconvenience!